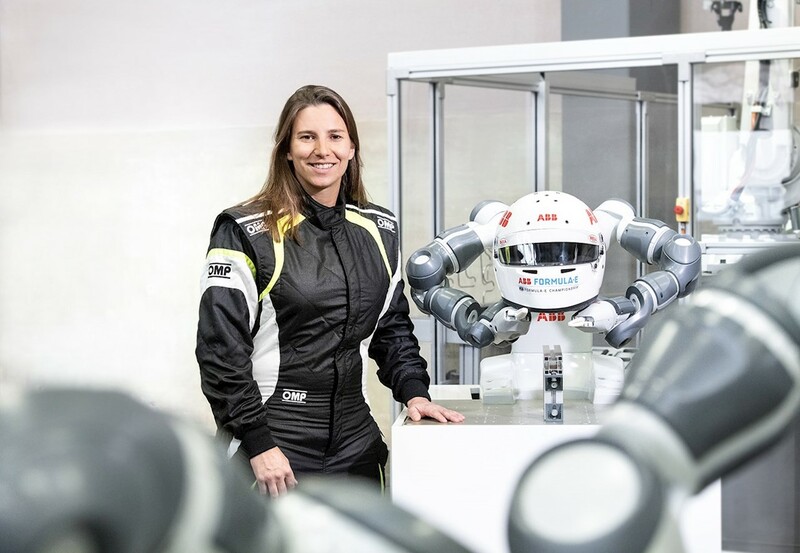 One of the world’s leading female racing drivers, Simona De Silvestro, is to become a global ABB ambassador for pioneering technology leader ABB for season 5 of the ABB FIA Formula E Championship, the world’s first fully electric FIA motorsport series. Swiss-born De Silvestro, 30, will champion ABB’s contribution to e-mobility and diversity, in a role she will combine with test-driving duties for the Venturi Formula E team, which has the sport’s only female team principal, Susie Wolff. Nicknamed the “Iron Maiden” on account of her competitive determination, De Silvestro believes gender should not be a deciding factor in motorsport. “Gender doesn’t matter when you’re doing 225 km/h into a turn,” she added. De Silvestro joins another leading Swiss sporting talent, Sébastien Buemi, as an ABB ambassador for the ABB FIA Formula E Championship. Buemi, who was the series’ second-season champion, will race this year with the Nissan e.Dams team. As ABB ambassadors of Formula E, De Silvestro and Buemi will champion ABB’s commitment and pioneering technologies at the various races around the world. De Silvestro joins the ABB FIA Formula E Championship as it embarks on its biggest season yet, with 11 teams, 22 drivers and nine global car manufacturers competing for honors. The all-electric series will this year showcase its new Gen2 car, which houses significant advances in battery technology that for the first time will allow a full race distance to be completed on a single charge. And with up to 250 kilowatts of power available for the pre-race qualifying sessions, Gen2 cars will be able to hit a top speed of 280km/h (174 mph). Season 5 of the Championship launches for the first time in the Middle East Ad Diriyah, on the outskirts of Saudi capital Riyadh, on Saturday December 15 and will take in 13 rounds before the New York finale next July. New races in the Chinese resort city of Sanya and Swiss capital Bern further augment the calendar. Throughout the season, the ABB FIA Formula E Championship will be supported by the Jaguar I-PACE eTROPHY series, which will rely on ABB technology in a live motor racing environment: compact Terra DC fast-chargers specially adapted to be easily freighted to the series’ host cities. The units will supply power to the 20 I-PACE cars at each event. ABB’s title sponsorship of Formula E, which began in January 2018, is a logical extension of the company’s market and technological leadership in electric-vehicle fast charging. To date, ABB has sold more than 8,500 direct-current chargers in 69 countries, a figure that includes 1,200 high-power DC chargers capable of refreshing vehicle batteries at levels of up to 350 kilowatts and adding up to 200 kilometers of cruising range in as little as 8 minutes. ABB is also a leader in flash-charging technology for electric buses, which offer high power charging via an automated rooftop connection. The Season 5 upgrades – most notably the Gen2 cars’ almost doubled battery capacity – present the ABB FIA Formula E Championship as an even more striking alternative to conventional racing. The e-races demonstrate that the world’s transition from fossil-fuel vehicles to electric transportation can be as exciting as it is environmentally sustainable.